You’ve never had a balsamic quite like our decadent strawberry-infused balsamic! All of our Italian balsamics are aged to greatly enhance their flavors. We mix the best strawberries available into this vinegar to give it the best possible taste. 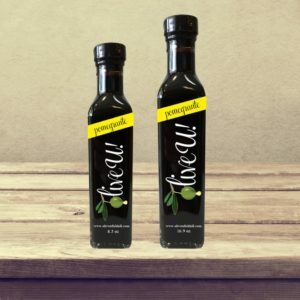 Check out the recipes page for more ways to enjoy all of our oils and vinegars! Add a huge shot of flavor to any dessert or cheese plate with just a small dash of this vinegar. We’ve used it on ice cream, fruits, berries, and brownies to delicious results! The flavor is so wonderfully intense that you’ll want to put it on everything you make. We have found that a small amount used in a marinade or on top of a steak offers an exciting flavor contrast to the deep richness of grilled meat. You won’t find better strawberry flavor anywhere else! 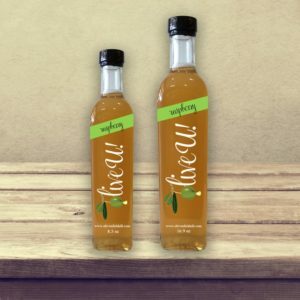 Sold in 8.5oz and 16.9oz bottles.